Knowing her husband, I had to chuckle. In any event, I thought about my three favorite books and present to you my list! Each is a part of a larger series or “franchise,” so to speak, so if the title doesn’t appeal to you, there may be a sequel that does. These books have all withstood the test of time. I recommend them, and so do my fellow school psychologists. In fact, these are all such giants in the parenting-book world, I feel somewhat unoriginal in recommending them… nevertheless, they all remain in my top selections and are worth mentioning. I have a variety of books I reference and love– so just stay tuned for follow up with additional favorites! This has been in print for over 30 years, and is widely considered a solid classic. It was required reading in graduate school, and later, when I worked in a charter school with a generous budget, I ended up ordering enough copies such that I could give (like, permanently loan) out copies to struggling teachers and parents. I think this book has withstood the test of time for multiple reasons. First, it is practical and accessible. Any book that features cartoons on what to say and not to say is a winner. It features exercises, summaries, and Q & A sections. Secondly, like any classic, this book is substantive. How to Talk features a philosophy that is more relevant to parents now than ever. Like Dr. Mogel’s book (see below), this text understands that parents are stressed and trying to raise children in a culture that seems to challenge them at every turn. Here the authors get even deeper into different real-life situations so that the reader can more fully understand the mechanisms of their advice. The one caveat about this book is that some of the advice should be adapted for children with developmental and/or language delays. This bears repeating for all my recommendations: always keep in mind your child’s developmental stage and needs when implementing parenting advice! I once had a professor who told me, “I’ve found that the older I get, the more old fashioned I become.” As I read Dr. Mogel’s book, I too found this to be true about myself. I realized many “old-fashioned” ideas with regard to child-rearing are especially pertinent in our modern culture. Dr. Mogel posits a philosophy for raising self-reliant, resilient and ethical children in the context of her expertise and years of experience as a clinical psychologist, and through Jewish teachings (more on this aspect below). Dr. Mogel is warm and sensitive as she discusses her philosophy in the context of multiple parenting situations– everything from the sanctity of the dinner table to honoring your mother and father. “Honoring,” I said to myself– that sounds so… stiff and fussy! Well, I discovered there is nothing wrong with being old-fashioned. 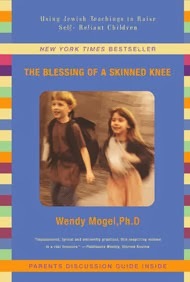 Perhaps the most radical idea that Dr. Mogel’s posits is that of allowing your child get a skinned knee. In my practice as a school psychologist, I worried a lot about “my kids.” Some worry was warranted. It is our job, as caretakers of children at school or at home, to guard the best interests of children. But this anxiety can be crippling to both caretakers and children. Reading this book actually had me breathing a sigh of relief. It gave me a completely new perspective on the importance of letting children struggle in order to build resilience. In order to weather life’s inevitable storms (sometimes hurricanes and tornados! ), we must foster confidence and poise in our children by using the little storms throughout childhood as teachable moments. It is worth noting that Dr. Mogel has drawn many of her lessons from Jewish teachings, and I found (like most reviewers) that this book transcends religion (while also bringing up important general discussions of religion and spirituality in the home) and is accessible to all. As I mentioned, Dr. Mogel is also a clinical psychologist, which lends yet another layer and, frankly, credibility, to her work. Dr. Mogel has other books that I have on my “to-read” list, including The Blessing of a B-. This is another total classic and was required reading in graduate school. 1-2-3 has also successfully franchised their philosophy into half a dozen spin-off products including such compelling titles as, “Surviving your Adoloscents: How to Manage – and Let Go Of– Your 13-18 Year Olds” and “I Never Get ANYTHING! How to Keep Your Kids from Running your Life.” They also have products for educators. Check out their website for details. This book– like any good parenting book– is infused with humor (because parenting is full of absurd moments) and practical advice. Dr. Phelan describes the book as divided into three separate and important steps: 1) Controlling obnoxious behavior 2) Encouraging Good Behavior 3) Strengthening Your Relationship. 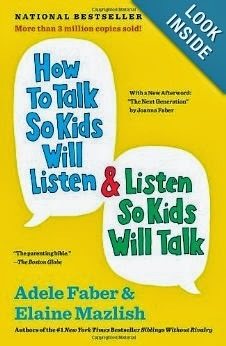 I have long recommended this book for “unruly” children and parents who struggle to manage their behavior at home. As Dr. Phelan points out, “parenting is not for the faint of heart,” and certainly his methods require commitment on the part of the parent. However, he encourages immediate implementation of his straight forward strategies — don’t overthink it! This simple approach is wonderful for the stressed parent (is there any other kind?). The reward, I believe, extends far beyond a more peaceful home. Children who understand boundaries and limits, and who feel safe in their parents’ enforcing of these boundaries and limits, are going to have a much easier time in life. Children who are in predictable, emotionally safe environments can grow and flourish and– very importantly– develop deeper bonds with parents. 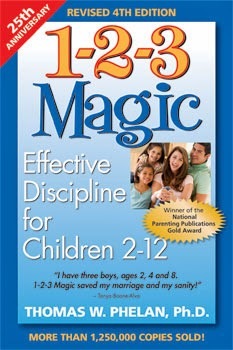 I recommend this book for the discipline advice (and this is what compels desperate parents to run to Amazon.com), but what I like about this book is that it is really about developing a healthier relationship between parent and child. Check out their website (and new app!) at http://www.123magic.com. I would be remiss not to note that sometimes parenting books are not enough. If parenting were as easy as reading a book or a Wikipedia entry, or even earning a graduate degree– the world of learning specialists, child psychologists, and educational consultants would not exist! At times, it takes a team of experts to support a child and a family. If you have struggled with a certain parenting issue for more than six months, we would encourage you to reach out to professionals (yes, like RNG) for help.